The crux of President Buhari’s message is to those dutifully striving to make political capital out of religious divergences. Religious conflict serves no good. Though such conflicts may possibly pay arms dealers – quite literally, and benefit misery merchants, it definitely doesn’t pay the generality of Nigerians. President Muhammadu Buhari’s piece titled “Don’t Politicise Religion in Nigeria” published by Church Times can be viewed as a timely homily that is very crucial to our existence as a nation. The citation of a biblical apophthegm in Amos 3:3 should resonate with all who are genuinely interested in peaceful coexistence. Although religion has already been politicised, Nigeria can still manage the manifestations of religious politicisation. In the article, President Buhari states that, “Along with the millions of Christians in Nigeria today, I believe in peace, tolerance, and reconciliation”. He further mentions his belief in “compassion”. Having analysed Nigeria from a socio-religious viewpoint for decades, religiosity without compassion is very much prevalent. The lack of compassion towards others, especially those of other faiths, including the faithless, is becoming more widespread, and the pulpit is partly to blame for this depravity. Citing President Buhari’s political journey as an example, I doubt any candidate has had to endure the ethno-religious excoriation he has been subjected to over the years. Curiously, there’s no record of Muhammadu Buhari ever being accused of religious extremism or fundamentalism during his years of service in the Army. All those who served with him in the armed force never accused him of anything relating to his religion. Even as a former head of state, with a fellow Muslim (Tunde Idiagbon) as de facto vice president, Buhari didn’t face such religious-oriented defamation, nor was he ever accused of an agenda to “Islamise” – a term that causes me much bemusement. So where exactly did the religious fundamentalist toga emanate from? When Buhari decided to go into politics, he became a threat to certain vested interests. During a 2012 interview, Buhari revealed that his issue with Obasanjo was the mobilisation of Nigerian voters against him. When Buhari first contested in 2003, it was against Obasanjo, who was then incumbent. Scaremongering tactics were employed at that time to portray Buhari as a religious extremist. Obasanjo eventually won the election, but the hatchet job done by those of the ruling Peoples Democratic Party (PDP), had tainted Buhari ever since that period. A lot of malicious materials were spread locally and internationally, often with words taken out of context, to tarnish Buhari’s image. It wasn’t until the 2015 elections that the hackneyed religious fundamentalist toga foisted on Buhari was somewhat subdued. Although Buhari won the elections, the damage had been done. For this reason, Buhari still has to write an article stating the obvious. Despite his reticent disposition, this is not the first time Buhari has had to take such measures. A similar address was made before the 2015 elections titled, “One Nation Bound in Freedom, Peace and Unity”. In that speech, Buhari emphasised why ‘unity, peace and progress’ surpassed any political consideration. He stated that he was ‘extremely sad’ that he had to give such an assurance to fellow citizens. 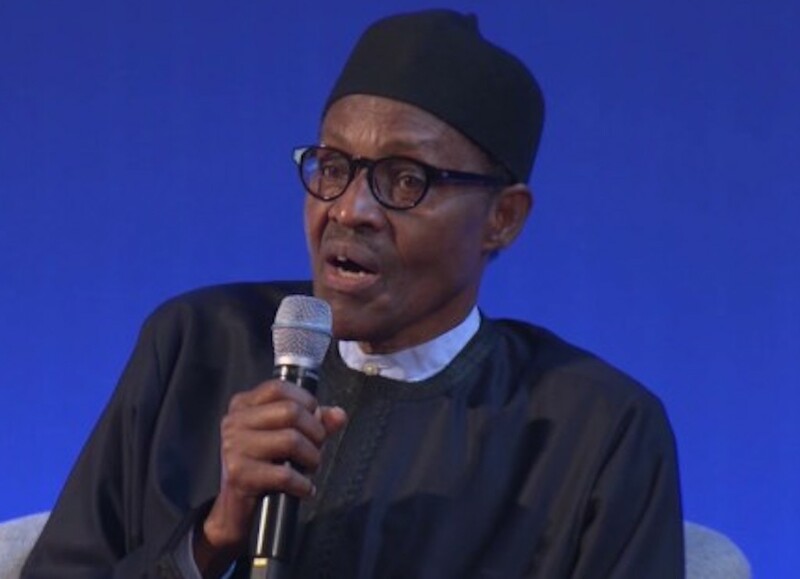 Notably, in the 2015 address, President Buhari chastised the then ruling party (PDP) for adopting “divisive” and “false narrative” strategies to create an environment of fear through the manipulation of religion and ethnicity. For instance, Nigeria’s elections came up during the ‘Fake news’ inquiry on March 27, 2018 by the U.K. parliament’s Digital, Culture, Media and Sports Committee. The former director of research at Cambridge Analytica turned whistleblower, Chris Wylie, revealed to U.K. MPs the “shocking lengths” taken to manipulate Nigeria’s 2015 elections in favour of PDP’s Goodluck Jonathan. Cambridge Analytica’s primary objective was to scare the Nigerian electorate from voting for APC’s Muhammadu Buhari. Wylie stated that the organisation utilised “incredibly anti-Islamic and threatening messages portraying Muslims as violent”. Thankfully, majority of the Nigerian electorate weren’t intimidated by such virulent tactics and the ruling party lost in 2015. Four years after, the 2019 elections are coming up soon. If PDP as the ruling party adopted the politicisation of religion as a strategy in 2015, what strategy would it adopt as a party now in opposition, for the 2019 elections? The answer is pretty obvious: Politicking via the inglorious path of fake news, coupled with an ethno-religious slant, which would have internecine consequences. A recent report by BBC titled, “Like Share Kill” details the damage fake news is doing to our polity. There have been instances of the recycling of old images of incidents that occurred in other countries to foment violence in Nigeria. Sadly, such images often lead to deaths. More worrying is the fact that some of those responsible for generating these images are causing mayhem from the comfort of their homes abroad! So when carnage is unleashed, the fomenters are not directly affected. Evidently, there are foreign forces aligned with local saboteurs that would gladly fuel any conflict for pecuniary benefits. The sad reality is that when an environment is deliberately polarised through the ethno-religious machinations of desperate politicos and their conscious and unconscious lackeys, we are all victims. Furthermore, such distractive strategies are employed to rouse religious sentiments among the populace, whilst the pilfering of the nation’s resources by a united political class continues. Existentially, religion is an integral part of people’s lives and can’t be extirpated from society. In view of this stark reality, people must come to the realisation that not everyone will believe what you believe, and beliefs cannot be forced on anyone, hence we should live and let others live! The clergymen must avoid being used as pawns by those with political motives, often laced with diabolical objectives. To assist in our quest for national cohesion, religious bodies need to prioritise the preaching of compassion, love and tolerance, and they should sanctify peaceful coexistence in speech and deed. Generally, people need to unite, and spread peace and love. On these two commandments hang all the law and the prophets” – Matthew 22: 35-40. M.B.O. Owolowo writes from the U.K.; Email: m.b.o.owolowo@gmail.com.